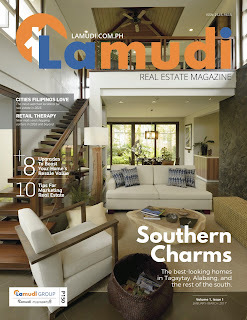 MANILA, February 26, 2017: In a bid to conquer every nook and cranny of the real estate scene, leading online property marketplace Lamudi Philippines is expanding its reach by launching its own lifestyle magazine centering on real estate. Starting this quarter, Lamudi will release its self-titled real estate–focused magazine that aims not only to showcase exciting real estate products across the country, but also provide comprehensive and updated news and information on the local real estate scene. “Our goal is for Lamudi to be known as the household brand for both online and print real estate. This way we will be able to reach both offline and online property hunters,” shared Bhavna Suresh Chathambeth, CEO of Lamudi Philippines and its sister website MyProperty.ph, which the former acquired from Summit Media in 2015. Together, Lamudi and MyProperty.ph are the Philippines most visited and largest real estate websites. The magazine will be released every quarter and will be sold for Php150 in all National Book Store outlets. “Although Filipinos are big Internet users, a large chunk of the local market still appreciates and follow traditional marketing such as print advertising. We acknowledge this so we decided to harness our real estate knowledge and authority to come up with an informative and helpful publication targeting both sellers and buyers alike,” added Ms. Suresh. Lamudi also stressed that the magazine will utilize years’ worth of listings and search data accumulated by the website to study the online behavior of property hunters, information that will determine the next trends in the property sector. Therefore, everyone can expect only the best articles on the Lamudi magazine. “Everything about real estate from digital trends to easy home hacks will excite the pages of the Lamudi magazine. We are also getting the views and insights of top real estate personalities to make sure that we will deliver the best to our readers,” Ms. Suresh added.